You will be amazed when you enter this Beautiful Home custom tile, upgraded carpets the main windows have plantation shutters there is formal living and dining rooms office/den/hobby room with double doors the kitchen is a chefs dream with an massive center island/breakfast bar with sink and granite tile also a butler pantry this room opens to the family room with a view of the golf course. The master suite also enjoys the beautiful view of the rolling green golf course there is a whirlpool tub large walk-in closet double sinks & stall shower the back yard is paradise with a in ground pool surrounded by stamped concrete. A great place you can sit & enjoy! 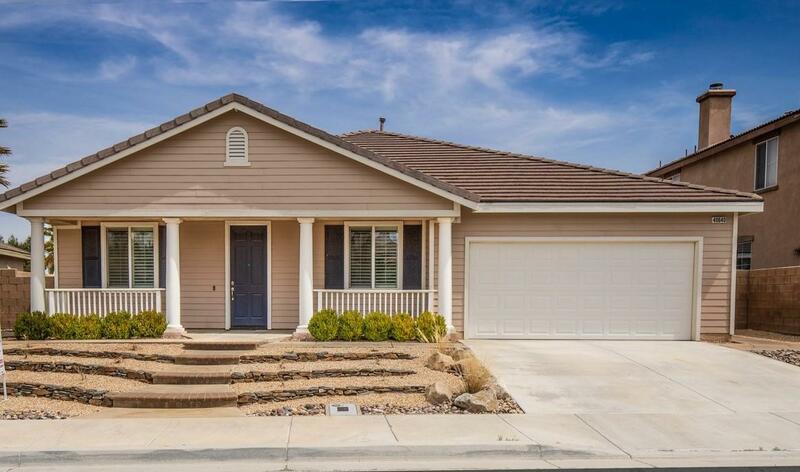 © 2019 Greater Antelope Valley Association Of Realtors All rights reserved. Information deemed to be reliable but not guaranteed. The data relating to real estate for sale on this website comes in part from the Broker Reciprocitysm Program. Real estate listings held by brokerage firms other than Keller Williams are marked with the BR logo and detailed information about them includes the name of the listing brokers. Listing broker has attempted to offer accurate data, but buyers are advised to confirm all items. Information last updated on 2019-04-23.